Business presentations could be simpler, more engaging and so much more effective, and our business lives so much more rewarding if we remember to restore the emotional power of storytelling. In an age that is Data Rich but Insight-Poor and when most people in the world of business find themselves caught up in a system of numbers and spread sheets, this book shows that the time has come to restore the lost art of storytelling; to put the “author” back in “authority”; to write less and think more. 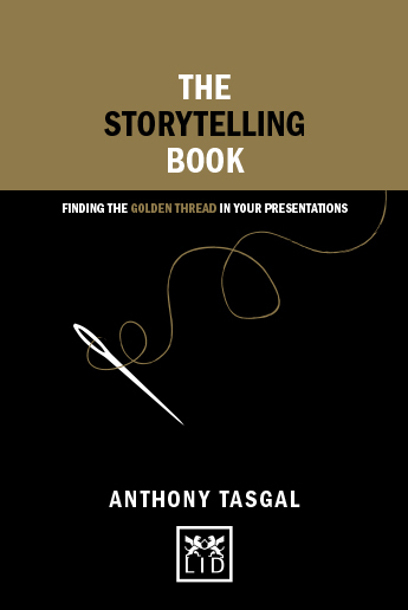 Though a simple step-by step approach, the author shows that we need to change how we communicate in our day-to-day lives, and that if we revert to our inherent role as storytellers we are more likely to be both more effective and productive, and a lot less frustrated into the bargain. A unique and practical guide to communicating more persuasively through storytelling. ● Storytelling has become mainstream in business and marketing, and is deemed a powerful tool for communication and presentations. ● Part of LID’s “Concise Advice” series – engaging, practical and attractively designed and packaged. ● Large-scale PR campaign at launch; the author already has a good media profile and connections to several influential industry bodies. ● This book has the potential to become a cult business seller and follow the path set by The Impact Code, The Ideas Book and The Diagrams Book.